This is a guest blog post written by our friends at The Scholarship System. They work with families to help students graduate from college debt-free, offering free online resources and trainings as well as an online course on how to find, apply, and secure scholarships. 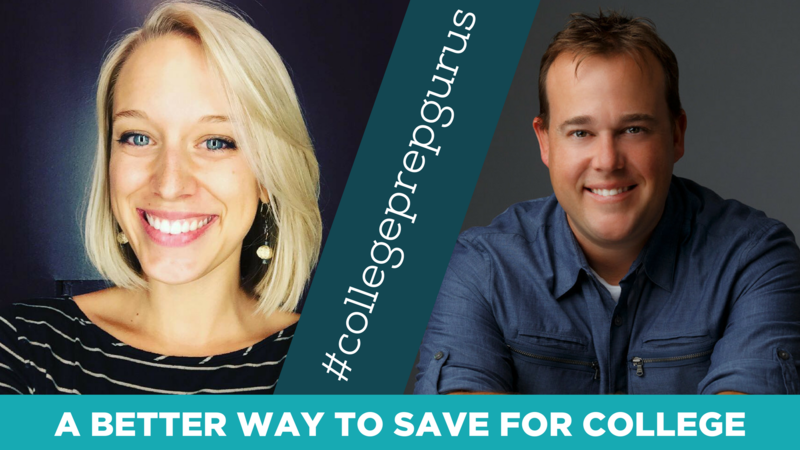 So far, they have helped students save over $724,000 and that number continues to grow. We encourage you to learn more about The Scholarship System and check out the original post! A 2015 study by the U.S. Bureau of Labor Statistics showed that the average student spent 10 hours per week on extracurricular activities including church activities, sports and extracurriculars. This is on top of school, sleep, time with friends and family, social media, etc. In short, students are busy. Much of the drive behind this involvement is college: getting accepted and receiving scholarships to pay for it. And while scholarships can sometimes seem like mystical creatures, the truth is that students are awarded billions of dollars in scholarships every single year. Still, it’s important to know scholarships aren’t just based on activities. They require other areas of focus to be all-around competitive. Each application may vary slightly but there are still consistent staples that students should consider. And what you may find surprising is that ANY student can do these things. 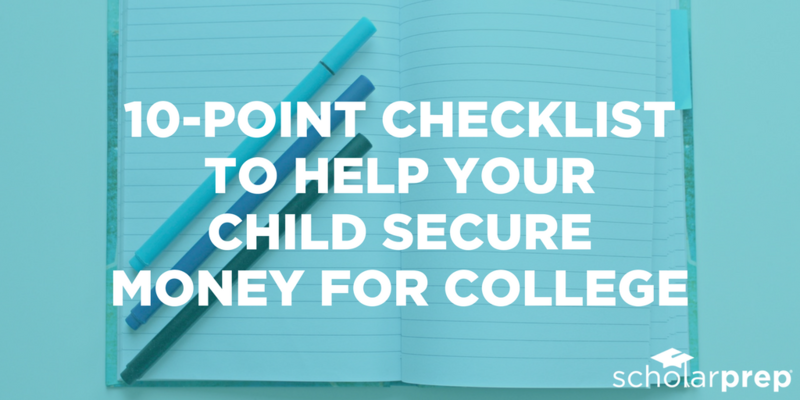 Check out our 10-point checklist below to help your child be competitive for scholarships. 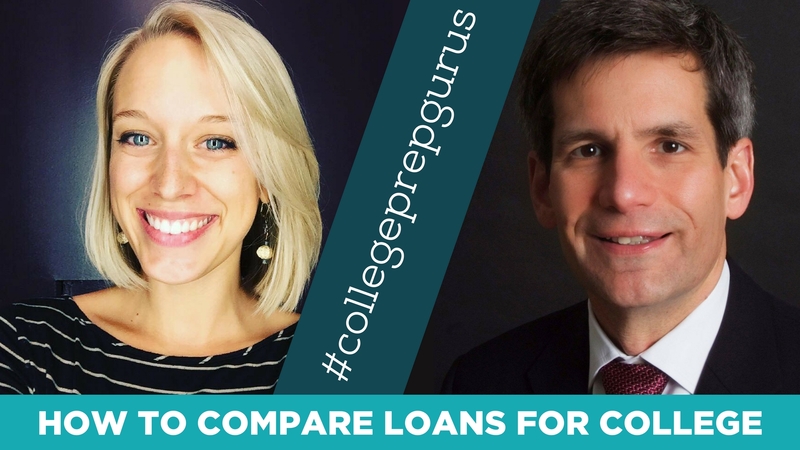 Whether you are helping pay for college or your child has to borrow to pay for college, the motivation to get college paid for with debt-free money is critical to be competitive. Why? Because unfortunately, it isn’t a cakewalk. If it was, everyone would have a free ride. In order to make it through the scholarship process, students need 1. direction on what to do and 2. motivation to implement the process. 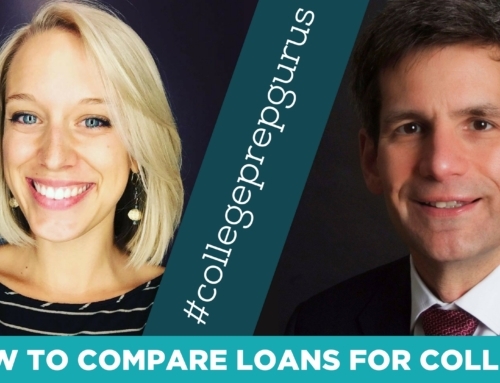 Working with your student to calculate future loan payments (and lack of disposable income after paying them) is a great way to make them despise borrowing money. If you are covering the bill, you could try to think of other ways to incentivize them. We’ve seen some parents give them a cut of what is saved (upon graduation of course). Some students don’t even need extra motivation! Similar to motivation, a work ethic will be required as well. However, if your child knows the steps to take, they can actually get away with as little as 2 hours per week during the school year! (That’s only 1 movie worth of time per week!) If they are more a crammer, 20 hours per semester is our rule of thumb. Believe it or not, simply being able to follow directions will increase your child’s competitiveness for scholarships. Students commonly overlook requirements and automatically disqualify themselves. Simply double-checking that they’ve met all the criteria and followed the instructions correctly before submitting will make an impact. One great tip here is to have someone else, such as you or a teacher, double check the submission before sending it in. While we mentioned that involvements aren’t all your child needs, they still play a part in competitiveness. The goal, however, is NOT to get involved in everything but instead pick a few activities that your child wants to focus on. Have you ever heard the saying “Jack of all trades. Master of none.”? This applies here. Don’t push your child to be in every single activity. Have them pick a few, dive deep, and show their commitment. Committees will appreciate that much more than trying to be in everything. Scholarship committees do NOT expect every student to have a 4.0. They understand that things happen. But what they DO appreciate is an explanation (if given the opportunity). If your child has a lower GPA, have them take advantage of the “Anything else” section to explain their circumstances. This does not mean to whine and blame it on someone else but to take ownership and explain that they are working towards bettering their GPA. If your child got sick and fell behind in school or something of that nature, they typically understand.Video game addictions do not count. Many scholarships will ask for any awards or achievements (though not all). This section is very easy if your child has been keeping track of it all along. If they don’t, it’s easy to forget about the time they made Honor Roll or received an Academic Letter. Create a document on the computer (backed by cloud storage, of course!) and start recording any awards or recognition they receive. I promise – their future scholarship-winning self will be glad. Many students FEAR this requirement for scholarships and unfortunately, most legitimate scholarships require some sort of writing. Still, your child doesn’t have to be the next Shakespeare to be competitive for scholarships. All they need is a well-organized essay. What does that mean? It means listen to the 3rd grade teacher and follow the Opening, 3 points, Closing method! If judges can follow their points and tie it back to the essay prompt, they will be in great shape for securing scholarship money for college. Worried about essays? Check out this post that covers what NOT to do. If a student simply just ‘hangs out,’ committees will have a hard time believing they’ll do anything different in college and beyond. Scholarship committees want to invest in students that have a drive and passion. Though your child may not know what they want to do beyond college, simply having passions and hobbies right now is a good indicator that they will be dedicated to a career path. This can be anything – watersports, biking, reading, scrapbooking, playing Pokemon Go – just kidding.. that last one doesn’t count.. but you get the point. Child doesn’t have any? Now is the time to find one! Fortunately, it’s never too late. 10. Career path chosen? Maybe. Last but not least, your child should have a career path in mind and plan to attend (or currently attend) a 2-4 year program. You might be thinking: “But what if they don’t know what they want to be yet?” That’s ok! Still, for scholarships, it’s best to at least choose something they are leaning towards for now versus saying that they don’t know. Scholarship judges understand students are young and will probably even change careers multiple times, let alone majors. Still, they want to see that your child is going to college with the mindset of a career, not a college experience. 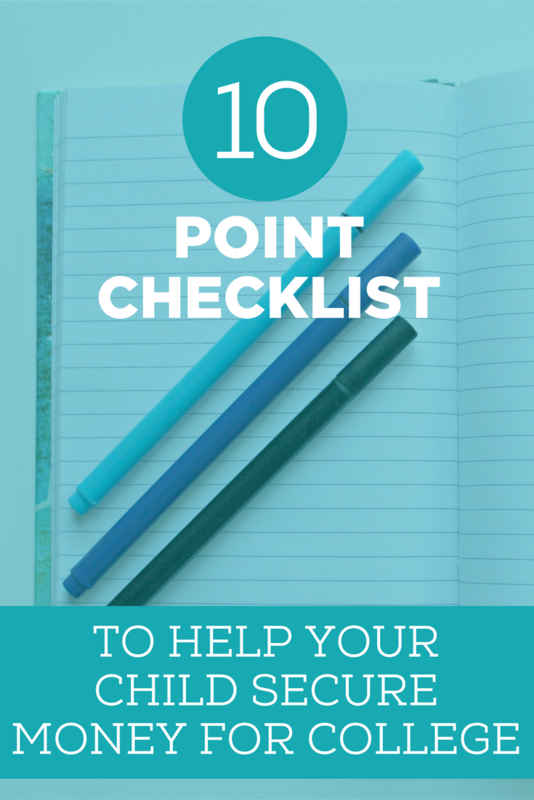 If you find yourself saying “check, check, check…” to all of these, then congratulations! 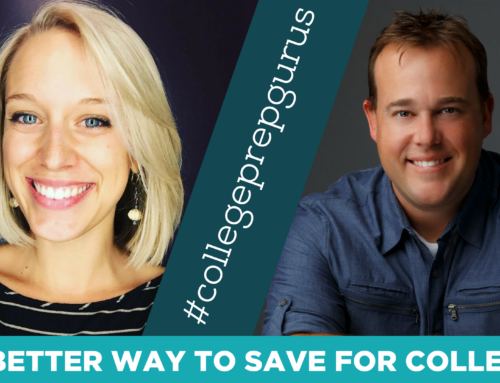 Now you just need to learn how to find the scholarships and get your child to start applying. If you don’t think your child meets all of these, do not worry! You have time. How do I know? Because I know from experience that your child can apply for scholarships all the way until their senior year in college (which is exactly what I did.) Yes, they can apply all the way through college which means they can start getting competitive today and then start applying. Still, you’ll want to get them started ASAP of course!